It’s far easier in most cases to escape corporate income tax than personal income tax. Because you can move a company at the stroke of a pen, you can hire staff around the world, you can set up offices in other parts of the world but your life is well your life. In fact the most important thing to consider is no amount of tax savings are worth living in hell after all what do you make that money for anyway? But before we go forward let’s consider what personal income really might include so we tackle the problem from an all encompassing perspective. Are there hidden personal income taxes? Sometimes there’s a tendency to look only at the dollar figure or worse the rate of tax paid but rates can be deceptive. What about social securities and payroll taxes? Often wages received are subject to additional withholdings for things like unemployment insurance, government pension plans, and other social benefits. Depending on your perspective these might be an additional tax after all it’s less money in your pocket short term if not long term (sometimes they pay off if you’re actually unemployed or start claiming the pension). These often cost double if you’re self employed because you’ve got to pay the employer portion and the employee portion making income received from for example dividends or interest more attractive when they aren’t subjected to these additional costs. On the other hand the opposite is also true. In many countries you can get away with less personal expenses because they are covered under the halo of tax deductible company expenses. These might include personal computer, cell phone, interest, some trips, possibly a vehicle, etc. How far these go and are allowed varies by country, which can make otherwise high tax on the surface countries attractive when you dig into it. Hong Kong is a great example of this where almost anything goes for write offs, whereas countries like Netherlands and Denmark are likely to come down hard on you. If you can manage it the most powerful and sustainable way to decrease your personal income taxes are by changing your personal residency. Note an important distinction though – residency vs where you live. These are not necessarily the same thing. You could live somewhere but still be tax resident elsewhere and vice versa. Let’s take the extreme example, which is US citizens. A lot of people will through around the statement that “the US taxes on your worldwide income” but actually this isn’t anything special about 80% of the world taxes on your worldwide income. What’s so crazy about the US is tax residency is determined in part by citizenship meaning so long as you’re a US citizen you’re taxable no matter where you live or what other residency you obtain outside of the US. Move to another state – for example billionaires moving from New Jersey to Florida where there is no personal state income tax has created huge fiscal risks for the state of New Jersey because of the significant impact these billionaires have on the local budgets. This is of course perfectly within US tax laws as you’re allowed to live and pay taxes in whatever state you like. Move to Puerto Rico (in rare cases US Virgin Islands) – not a state but also not truly outside of the US it’s a territory with the power to set their own tax rules, which affect Americans. It happens this small island in the Caribbean is bankrupt and has therefore become the largest tax haven for Americans in an attempt to attract wealth individuals and high income earners to come live there. The US is an example though each country has it’s own rules. For citizens of some countries it’s possible to be tax resident nowhere. Simply travel around enough from place to place avoid triggering tax residency rules in any country, file and pay taxes no where. Voila! But for most this isn’t an option. It’s easy to move to another province or state within your country but to another country? This usually involves some sort of immigration procedure, which of course is part of what we’ll help you with. Understand, you can be tax resident in a country without being legally resident there…or vice versa. In fact it’s an interesting contradiction that the immigration department might like to deport illegal aliens but the tax department still insists they pay tax. In most countries staying 183 days or more will automatically make you tax resident if some other factor doesn’t (there are a bunch of potential factors depending on the country so you need to look at rules country by country or we can help you with this). The point is it’s possible to be a tax resident without being a legal resident. The opposite is also potentially true. You might have the right to live in a country legally but not actually trigger their local tax rules say by not spending enough time, etc. This brings us to the next important point. One of the most common fallacies we hear from people is they say “I don’t spend 183 days in that country so I’m not tax resident there”. Understand, just because you don’t trigger a rule for tax residency in a country doesn’t mean they consider you non-resident. In many countries such as Australia or Canada you could be considered a tax resident even if you don’t spend a single day there in a year. Once again, it’s country by country. Another mistake people make is they’ll say “oh I’m tax resident in Panama” but it doesn’t matter if Panama considers you tax resident there it doesn’t mean your home country will and you could find yourself returning to a huge tax bill for all the time you were gone if you’re not careful. This is where programs where you have little to no physical presence requirements (in other words you’re not required to spend a certain minimum number of days per year in the country) to maintain residency are a bit of a misnomer. Sure, maybe they don’t require you to spend that time to maintain residency but you might need to spend the time and have an actual life there in order to avoid being considered resident somewhere else. Be sure you check the rules as they apply to you and your situation. 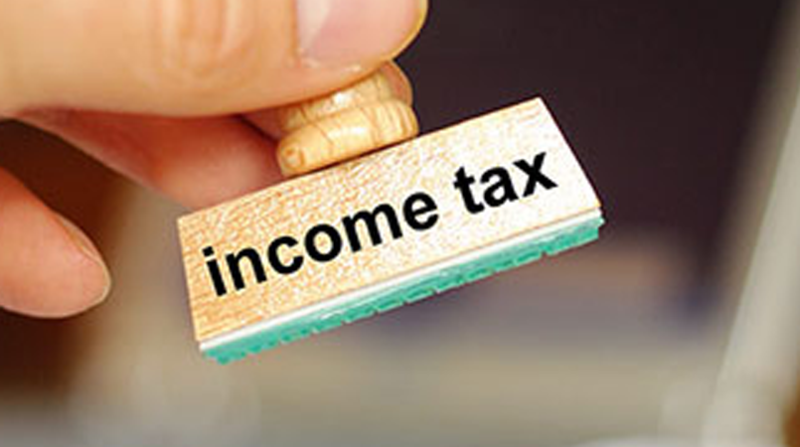 It is possible to be tax resident in two or even three places at once, which could mean far more tax than you were looking to avoid not to mention a lot more complicated tax filings. This is where proper structuring and tax planning comes in. By planning appropriately you could greatly reduce the amount of tax you pay and maybe the tax rate. Sometimes your company can lend you money to space income out over time and keep your tax bracket lower. Other times you can receive say dividend income, capital gains or other investment income at a lower tax rate than regular earned income. Or maybe you can income split with your spouse or combine deductions and tax credits to make your tax payable lower. The bottom line is careful planning can save you money even without moving especially if combined with our last method. They say more wealth has been created in real estate than anywhere else and whether true or not part of the reason for this isn’t simply because real estate is potentially a great investment it’s because the taxation of real estate is often advantaged in several ways not the least of which is deferral. Consider this say you earned $100k this year and you pay a tax rate of conservatively for much of the world 30%. This would mean you take home $70k. Assuming you could invest all of this you’d have $70k to invest. Now consider instead your real estate went up by $100k (same principle applies for stocks actually) how much tax do you pay? Zero because you haven’t sold yet. So how much is there level to grow and compound? $100k. Imagine you repeat this process year after year after year. Each year the one version (the earned income) adds $70k to your investment base whereas the real estate adds $100k but not just that the difference compounds by whatever your rate of growth is how much further ahead are you via the real estate vs the earned income after 10 years? A MASSIVE amount. You might be saying “yes but you get taxed at the end on the real estate”, which is true (though often at a lower rate) but even then it adds up to far more savings because you’ve had the larger amount able to compound over time so you are way ahead being able to defer. What are the easiest ways to defer? In most countries there are tax sheltered vehicles you can use like retirement savings plans, life insurance, and you can always resort to long term profitable assets like stocks or real estate you can hold long term without selling, which is what Warren Buffett has done. It’s worth noting in some cases you can defer until you’re able to relocate to somewhere with lower taxes and potentially live where you are now but not pay the tax ever since you’ll move away and claim it elsewhere. This isn’t possible everywhere and often requires some fancy structuring but it’s an option. If you’ve built enough wealth you can often take advantage of charitable foundations, donations and the various tax credits included to reduce your personal tax. This generally only works well once you’ve reached the point where you don’t want to use most of this money for personal lifestyle and instead have broader financial ambitions.